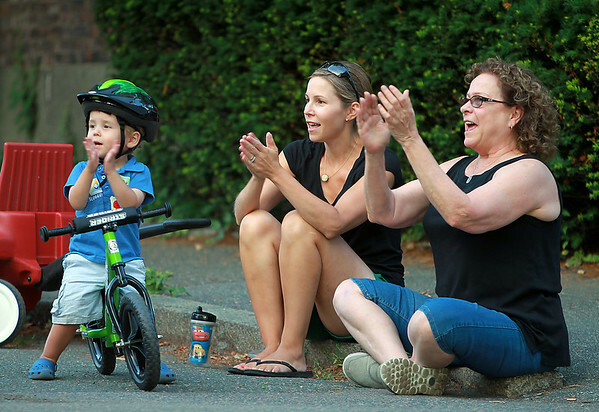 Two-year-old Everett Dugal, of Salem, applauds riders along Washington Square East, with his mom Anna Dugal, and Ginny Moulton, during the Witches Cup around Salem Common on Wednesday evening. DAVID LE/Staff photo. 8/6/14.